M.H. Alshaya Co., the international retail franchise business that operates leading restaurant brands like Starbucks, The Cheesecake Factory, P.F. Chang’s and Shake Shack, has been named the world’s best restaurant franchise partner at an awards event in Dubai. Alshaya was named the winner of the Partnership category of the Global Restaurant Leadership Conference (GLRC) Awards of Distinction, reflecting the company’s ability to adapt international brands to new markets and maintain strong relationships with multiple global brands. The awards recognise restaurant operators that excel in the global marketplace through innovation, community service, partnership and expansion. 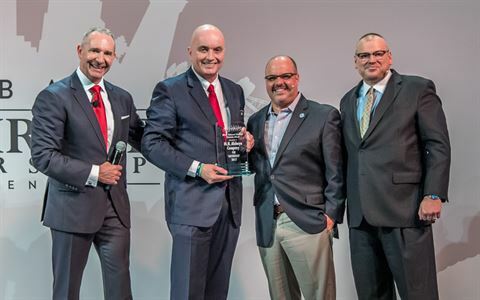 GLRC attendees and sponsors, as well as the industry leaders from around the world, were invited to nominate restaurants that best exemplify success in these areas. The winners were selected by a jury of global experts from Restaurant Business, Technomic and Winsight Media, with counsel from the GRLC Advisory Council. Accepting the award, Ian Toal, the President of Alshaya’s Food Division, said being a successful franchise partner was all about three factors: building great partnerships, delivering authentic brand experiences and having strong local market knowledge. Alshaya operates more than 25 food brands across the Middle East and North Africa, Russia, Turkey and Europe, as part of its wider portfolio of more than 80 retail brands.